Technology news Cambodia, Technology news Asia, tech cambodia | Interview: Wetlands Work! Sanitation is a huge issue globally, especially in developing countries and communities. Social enterprise Wetlands Work! wants to change that with their simple and entirely functional technologies. Geeks In Cambodia spoke with Taber Hand to find out more! Can you introduce yourself as well as Wetlands Work? I’m Taber, founder of Wetlands Work! WW! is a social enterprise a small local and international company in Phnom Penh that designs practical solutions to treat polluted water. We also offers consulting services to build and implement our low cost technical designs. 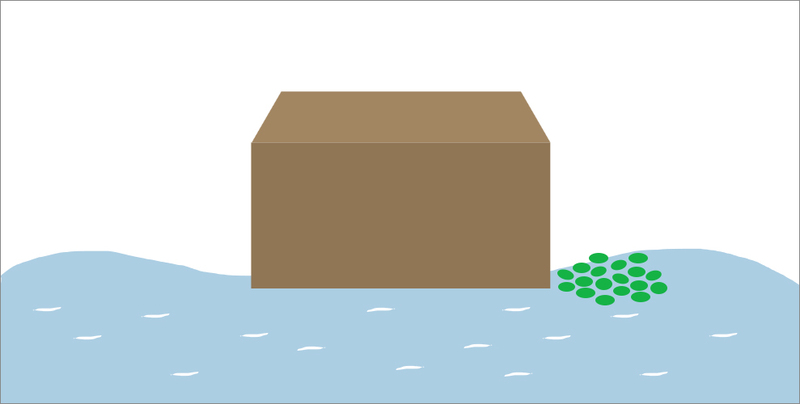 We can address a variety of wastewater types, and have unique and practical treatment systems for sanitation in floating communities as well as for households in flood prone environments. In our team, we have two local staff, namely, Puthea Khon and Chansolyka Tep. They are our project manager and research engineer respectively. Apart from that, we have two internationals – Dr. Irina Chakraborty and myself. We also have a number of interns working with us from Royal University of Agriculture and Pannasastra University, as well as a post-graduate intern from the US. What are some of the projects and products you have initiated? I started Wetlands Work! back in 2008 with a public demonstration project on vacant land in Boeung Keng Khan I, where black water was pumped from the sewer pipe under the street into three connected wetland boxes containing a variety of plants. It was a dramatic daily show as the container of black water was set next to a crystal clear treated water sample from the final wetland treated effluent. I designed the first HandyPod in 2009 and two years later we were incorporated as a social enterprise. How does the HandyPod work? It’s basically a child’s wading pool that floats on the surface of the water with the aid of recycled water bottles. Inside, you will find a dense mound of hyacinth plants with their roots in the water. Those roots have enormous surface areas, and attached to them are trillions of microbes. The microbial activity uses the wastewater as a food source and this kick-starts a food web. The complex food system eliminates the pathogens in the water. We see a reduction of about 99.999% of the pathogens initially introduced with the wastewater. The HandyPod is a simple and reasonably affordable set-up that provides people their own in-house toilet as well as treatment of their wastewater. It’s a low to zero maintenance technology for households in floating communities made up of about $30 worth of local and regionally available materials. We think the Pod liner that is supported by recycled water bottles will last five years, but there has not been enough time to know for certain; the other fixtures such as an HDPE container and a ceramic toilet will last a lifetime. Unobtrusive and aesthetic HandyPod treatment system showing aerobic floating hyacinth portion next to blue tarp privacy screen enclosing ceramic pour-flush latrine on the houseboat. Akol floating village, Tonle Sap Lake, Cambodia. T. Hand, 2014. What were some of the reasons as to why you developed the handypod? We developed it for the Tonle Sap Lake communities, yet it is useful to floating communities everywhere. The main reason is to provide a treatment design that can help reduce child mortality, gut inflammation and diarrhea due to the pathogen content of the water that surrounds them. The Lake becomes as shallow as 1 meter for a number of months each year. This causes the water within the floating village to be almost black and extremely unsanitary. However, it is still very unsanitary, or highly pathogenic, though it may look clean when the water level is up to 3 meters or more during the flood season Children play in this water unknowingly at risk, which causes them to get diarrhea or inflamed gut syndrome. The latter means that they do not show signs of diarrhea, but the child cannot process nutrients necessary for normal development. Those who grow up in this environment are faced with life-time challenges in terms of personal health, and they are often left stunted or with diminished basic intelligence – all because they swim in this water. Who is the target of this project? The targets of our HandyPod scale up project are those who live in these floating communities as well as small business entrepreneurs who will make and market a supply of quality controlled HandyPods. Instead of just obtaining a subsidy or giving these out for free, we want to educate the local markets so that business people have the knowledge to source materials and provide a buyable product. At the same time, Wetlands Work! will promote the demand for the product by the families in the villages using a process called community led total sanitation (CLTS). These are significant challenges, one being that the process has never been done in floating communities. Additionally, no one has had to pay for such sanitation technologies before. Sanitation marketing, never attempted before in poor waterborne communities, will require enterprising villagers to learn the making and marketing skills required to start their own business. The business of supplying HandyPods needs to be complemented with education and encouragement for poor households to desire and support the demand side of wastewater treatment in their village. What were some of the challenges you faced when developing WW? The main challenge of most small start-ups is funding. No matter how many great ideas and demonstrations we have, there has never been the funding base to move forward fully engaged. We make do with a committed staff who may work part time, and who are paid less than their peers. We have produced excellent proposals that get so close yet in the end, after significant time investments don’t get approved. A second challenge is to develop the administrative and business development support to help WW! grow. This is a transitional process, moving from a founding director whose forte, in my case, is ‘ideas’ to an admin support team – this takes funding too. A third challenge has been the status of being a social entrepreneur. Working amongst the NGO community, we are often misunderstood. For example, we work for the social good but we need to make a profit, however small, to maintain operations and to grow. This is a very different challenge than that faced by an NGO as there are different needs and expectations that arise. Where is the HandyPod being implemented right now? 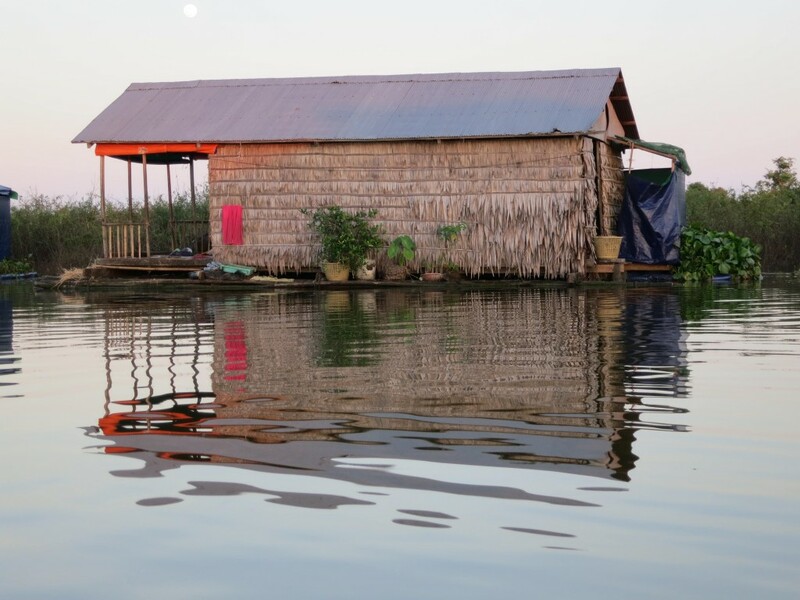 For the past 3½ years, the Pod was piloted in Akol floating community, Pursat Province. It was there that our prototype went though the large number of iterative improvements that result from prior failures, each time making it better and better. With our WaterAid Cambodia and OSMOSE partners, we are now developing the start of a sanitation marketing program in 10 villages, beginning first in the Prek Toal region of Siem Reap/Battambang Provinces where OSMOSE has had a long term presence, and then along floating villages in the Pursat Province area of the Lake. What is your vision for the HandyPod in the near future? Within the next four years, I expect Cambodia’s Tonle Sap floating communities to be almost completely free of the wastewater pathogens that have historically burdened their health. This will require government support, as well as small business development and public education. Beyond Cambodia, WW! has a project for the stilted house communities on Myanmar’s Lake Inle but that’s not yet administered. Also, we are looking for partnerships that will enable us to introduce the Pod in other countries at scale and with licensing agreements. Tell us about your project in the flood zones. Millions are affected by floods in Cambodia and, like the floating communities; there is a big pathogen problem that leads to very poor child health and high mortality. To address this, our new flood prone design provides affordable sanitation treatment in high groundwater and in flooded areas. It’s a three stage treatment system that uses microbial communities and a food web to efficiently eliminate most pathogens; in fact, our field proto-type removes 99.999% of the marker bacterial pathogen, E. coli. We are now building treatment for 40 households in the Vealsbov community off National Road #1 in Phnom Penh. This project will be in place by March, this year, and we are very interested in the local response as we work with them over the coming year. WW!’s floating and flood prone sanitation solutions are appropriate for poor communities aw well as for high-end ecotourism hotels located near sensitive lands or waters. More specifically, however, these designs provide the first practical treatment for a daunting global problem of urban growth, and no city is prepared for it. A recent World Bank report written for country donor guidance and public awareness talks about the coming explosion of population in the urban areas of Asia. Right now, Phnom Penh is the fastest urbanizing city in Southeast Asia; just look at what is happening in the region of National Road #1 today where all the wetlands and floodplain are being filled, making the remaining lands more flood prone and more marginal for the original low-elevation households. Not just Phnom Penh, but many large cities in India, Africa and Asia will explode with rural migration over the next decade due to population growth, jobs, changing climate issues of drought and flood, and exhausted non-productive rural landscapes. These poor landless migrants will have only the most marginal land and water areas to live, and large squatter communities will develop lacking many rudimentary human needs. Wetlands Work!’s very basic flood prone and HandyPod technologies are templates to address such large-scale ‘safe water’ solutions. Our scale up program on Tonle Sap Lake and the pilot project in Vealsbov are responses to this most challenging situation. Wherever such situations exist and where they newly develop, we look forward to promoting and adapting our designs to improve human welfare. To find out more about Wetlands Work! and their technologies, visit here.